I gave this testimony on Wednesday. For the most part, "pro-planning" stakeholders in the city don't seem to have the DC Department of Parks and Recreation on their radar. Thank you Councilmember Wells and members of the Committee for the opportunity to testify today about the Department of Parks and Recreation. I am Richard Layman of the Citizens Planning Coalition. To improve quality of life and to ensure that an expansive set of civic assets and programs are made available to residents, and to use precious and scarce financial resources wisely and intelligently, in the context of parks and recreation planning, CPC believes that it is important for the City of Washington to have a robust parks and recreation master plan in place. Rather than discuss particular performance issues concerning the Department, we are here to bring to the Committee’s attention the fact that the Department has no public master plan, and how this means that fundamental parks, recreation, and open space planning issues are neglected at the city wide, area, and neighborhood scales. 1. The Parks and Recreation Department operates without a public master plan. The State of Maryland and many other states require that cities and counties make and update master plans for their park and recreation systems. DCPR had a public planning process in 2004-2005 but the plan that was produced has never seen the light of day, not having ever been made public nor being approved by DC City Council. Perhaps because the Federal Government owns and manages many major parks and open space facilities in the city, the local government believes that the parks and recreation needs of residents don’t require a plan, and can be handled in a “trickle down” fashion. But the fact that the Federal Government and the NPS specifically are not accountable to local residents creates other problems. Even so, without access to federal reservations such as Stanton Park or Lincoln Park, many neighborhoods would have no parks facilities at all. 2. 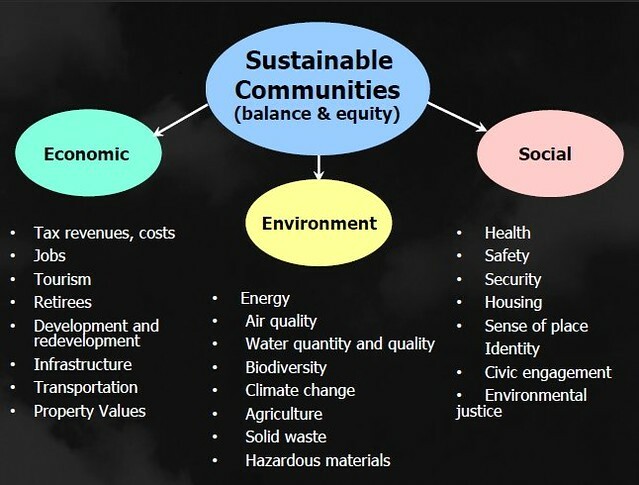 Without a master plan there is no public planning framework, no definition for level of service, no public process for making capital improvement decisions, no means for evaluating the mission and success of the department, no typology for the types of parks and services that should be made available to the public, etc. For example, there is no method for providing access to park and recreation services in more built up areas of the city, such as the Central Business District or NoMA among others, because no sector or neighborhood subplans for parks and recreation exist. NoMA is doing its own public realm framework plan. But there are no plans for recreation type spaces Downtown, the Zoning Commission has eliminated certain requirements on the part of new developments, and there was no public response to the closure of the YWCA pool and recreation facility, the only nominally public recreation facility Downtown. The spaces that are provided are for the most part privately controlled spaces within multiunit residential buildings. There are no provisions for impact fees supporting the development and maintenance of publicly-provided recreation facilities. There is no master Memorandum of Agreement with the public schools—traditional and charter—to share space and programs. Most neighborhoods lack formal community center spaces, although libraries and schools can serve these functions, but few communities have access to flexible spaces. And while this is an Office of Aging issue, is it really necessary to create a separate system of senior wellness facilities, facilities that for the most part, are closed at nights and on weekends? Why is there no indoor track available to the public as part of the recreation system? Or exposition type space? Both such facilities are provided by Arlington County’s Thomas Jefferson Community Center, along with a theater (and a resident theater company), fitness space, and arts studios, and this facility is part of an expanded Junior High School and Park, and is a demonstration of the tight linkage in community space provision between the Arlington County Public School system and the Parks Department. Arlington also has a systematic program for providing cultural spaces throughout the County, such as the way that the Signature Theater has been incorporated into the Shirlington Library site. DC does not have such a program. Etc. 3. Best practice parks planning is at the cutting edge of placemaking and city/community planning across the country, and is seen as fundamental to quality of life, economic development, and sustainability. Urban parks planning is undergoing a renaissance, spurred by the Trust for Public Lands, the Project for Public Spaces, and other organizations. Amazing new parks such as Millennium Park in Chicago, Campius Martius in Detroit, “The Park“ being built over the Woodall Rodgers freeway in Dallas, the High Line in New York City, and programming efforts ranging from (Park)ing Day to “streets for people” initiatives spurred by Bogota’s Ciclovia have energized communities nationwide. For all DC’s pretensions of being a world class city, our public parks and public realm planning is not keeping up with leading cities around the country. And the city’s residents suffer for it. 4. DPR has a narrow and constrained vision. (With the exception of the facility in Deanwood.) Parks and recreation planning guidance should incorporate other agencies, nonprofit organizations, and for profit facilities. 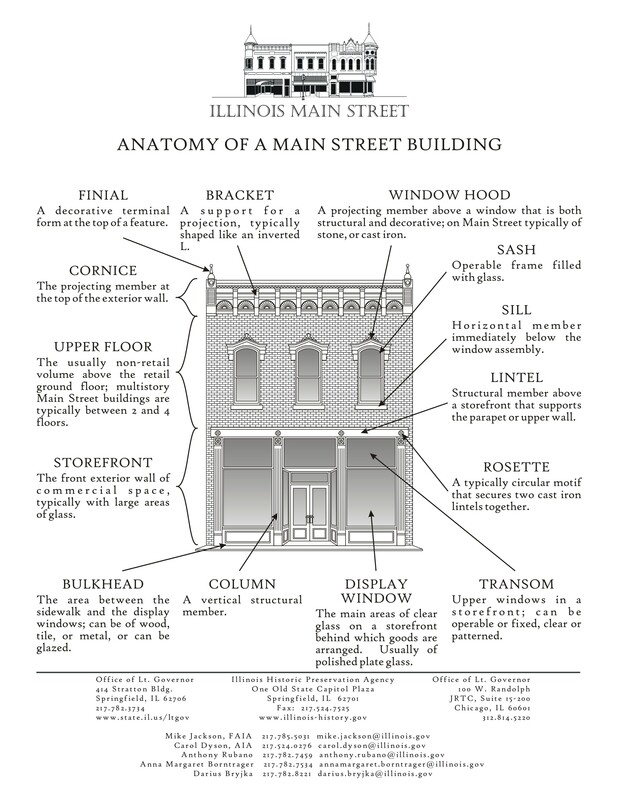 And flexible use spaces should be provided. Various best practice initiatives, such as Denver and New York City’s use of school playgrounds as a way to serve neighborhood recreation needs, joint development by communities with YMCAs and similar organizations to provide recreation spaces in central business districts—such as the Downtown fitness facility and Bike Station in Indianapolis—and the rise in various for profit and nonprofit fitness ventures—from yoga to bike co-operatives—demonstrate the need to update the way we approach parks and recreation planning. 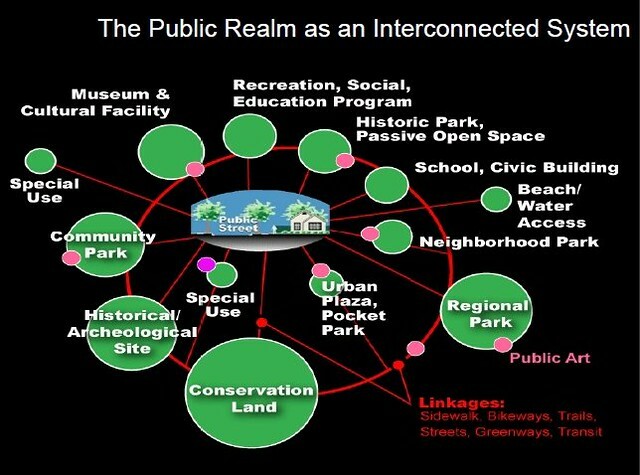 Who is asking questions about how to provide parks and recreation services in the 21st Century, how to coordinate these services with the National Park Service, or to provide ways for community- and entrepreneur-provided programs to be delivered across the city, in flexibly organized space, in our recreation and community centers? What about building larger facilities, and incorporating arts studios, or incorporating different types of arts-support facilities at different sites across the city? When the City does enable creative planning, such as with the restoration of the Marvin Gaye Park in Ward 7 or Meridian Hill/Malcolm X Park in Ward 1, why are these initiatives not harvested and incorporated in an upgraded and more robust parks planning framework? Etc. 5. Local parks and recreation planning guidance should be in place concerning the National Park Service. Typically, local governments are uncomfortable making recommendations for spaces controlled by state or federal agencies. However, the City should have planning guidance in place with regard to federal parks and open spaces in the City, to better shape the relationship between the city, residents and the Park Service, and to be prepared in case circumstances change. The current experience in the State of California, which is closing 70 state parks, is instructive—most communities lacked contingency plans in case something were to happen to these vital civic assets. (Arizona has similar issues, and New York State is closing many parks as well.) While local groups are endeavoring to keep 19 of the California parks open, 51 parks will close, in part because local plans did not consider all the “what ifs” concerning “state” parks located in their communities. 6. The public realm needs to be planned expansively between DPR, DDOT, and the Office of Planning. This is an issue more for your Committee than the DPR specifically. David Barth, one of the nation’s best parks planners, argues that streets should be treated as linear parks, and the Comprehensive Plan’s Urban Design Element calls for this ideal, which some of our streets and DDOT’s streetscape enhancement program illustrate. While Dan Tangherlini’s streetscape improvement program of 10 years ago for 8th Street SE and Georgetown was cutting edge at the time—and those planning practices have since been employed in Brookland, Columbia Heights, and H Street NE among other places in the city, to great effect—San Francisco’s Livable Streets initiative creating parklets in parking spaces, among other projects, and New York City’s pedestrian and bicycle programs, including the conversion of street space on Broadway Street for pedestrians and Summer Streets programming where streets are closed to automobiles on Sundays (like Bogota’s Ciclovia program), the High Line, and other projects far surpass DC in terms of creativity, innovation, and expansiveness. 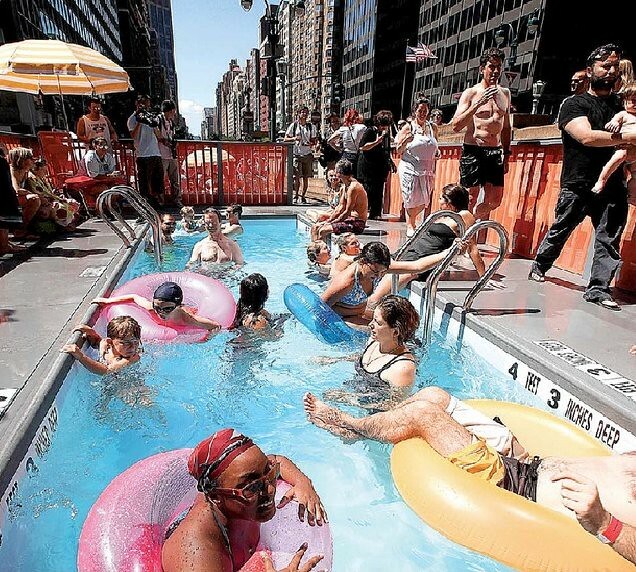 3 roving portable swimming holes are open to the public on Saturdays during the August "Summer Streets" program in New York City. Park Avenue is closed to vehicular traffic during this time. Mario Tama, Getty Images. 7. DPR needs to refocus its mission around enabling civic engagement, engaging citizens as programming providers, by creating parks and recreation committees for each installation, and providing citizens with significant input into the planning and programming for these facilities. In Baltimore County, Maryland, for the most part the Recreation and Parks Department doesn’t have people on staff who do programming. Instead programming is provided by interested citizens, organized and funded by volunteer Recreation and Parks Councils. While there are problems with this approach: (1) the County Parks Department doesn’t provide programming planning and guidance; (2) the Parks Department doesn’t provide capacity building training to the groups, comparable to how Atlanta’s Park Pride “friends” organization has an annual policy and training conference; (3) citizen interest tends to focus on team sports; and (4) wealthier communities tend to have access to more resources than poorer communities; there is no question that citizens are engaged users and committed to and involved with the facilities. Recently, DC has created a structure whereby Friends organizations can be organized to support local parks. However, CPC argues that the system created imposes massive burdens on community organizing because each Friends group has to incorporate, provide accounting services, open and maintain bank accounts, etc. Instead, a master friends organization should have been created, with a subgroup for each facility. Instead of each park friends group having to organize and incorporate on its own, banking, accounting, legal, and other services should be provided by the master organization, improving internal control, and freeing up community residents from organizational housekeeping duties, allowing them to focus their time and energy on fundraising and programming. 8. DPR needs to reconceptualize how it brands and delivers programs, to coordinate programs by various agencies, and provide innovative programs in ways that improve service and reduce cost. For example, Arlington’s “BikeArlington,” “WalkArlington,” and “FitArlington” are branded programs with distinct identities that coordinate the service offerings of different departments, including planning, transportation, parks, and public health. Citizens and elected officials are engaged in program delivery—for example, some WalkArlington neighborhood walks are led by the elected official living in a particular neighborhood. DDOT (d.), DC Water (“Water is Life”), and the Wifi program from OCTO (Connect DC) are examples of DC Government agencies focusing more creative attention on branding as part of developing and delivering programs and services. 9. Programming plans focused on engaging the local communities need to be in place for each DPR facility. For 4 years, I have lived 3 blocks away from the Takoma Recreation Center and Park—a four block facility that is a well-maintained signature asset of the community—and I haven’t yet seen the Park sponsor even one community day focused on getting residents out into and using the park, meeting each other, and getting involved. Or if they are doing this, it’s certainly not being publicized in the neighborhood, even with yard signs on the park space—and I am pretty well informed. It’s no wonder most of the citizens aren’t engaged in public parks and recreation activities in the city. By bringing these issues to your attention as part of the agency performance hearing, and by asking you to consider broadly the mission and approach of the Department of Parks and Recreation, CPC asks that the City Council, through the Committee on Libraries, Parks, Recreation and Planning, address the fact that the Department of Parks and Recreation lacks a public master plan by seeing that such a plan is created, through a robust and expansive public planning process. Thank you for the opportunity to speak to you today on this vitally important matter.